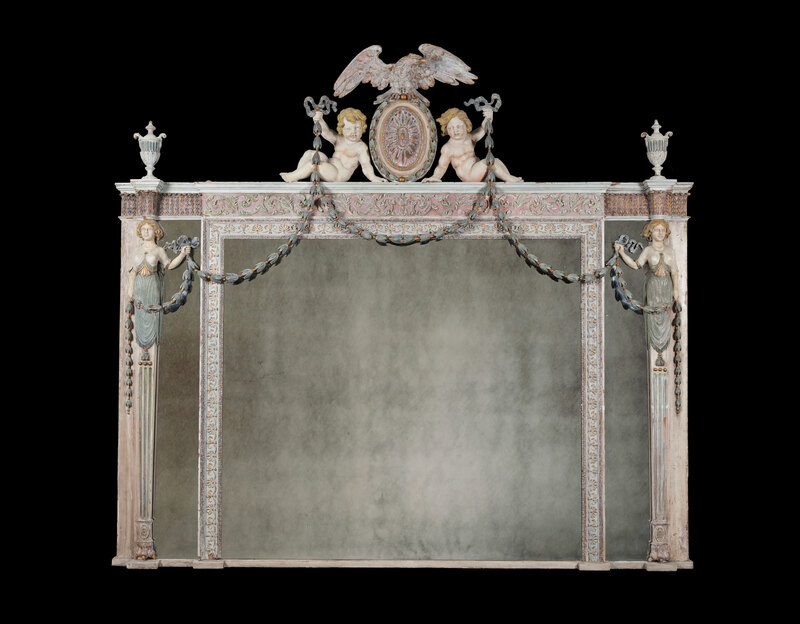 A carved timber and poly-chrome lacquered over-mantel mirror in the neo-classical style. With female caryatids holding a chain of bell-flowers which is upheld by two putti centred by a paterae with perching eagle. There are three plate glass mirrors, the large centre mirror framed by a border of athemions with a frieze of laurel arabesques resting on top. 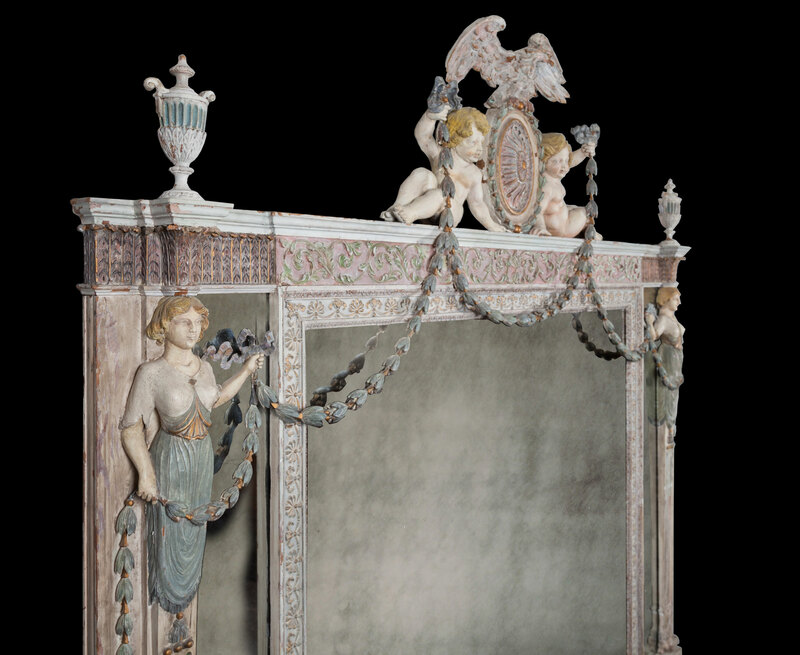 This exceptional over-mantel is in good condition, retaining its original paint work.